Recently I had the good fortune to be able to do a short pilgrimage to Lyon in central France to visit some sites important in the history of the Catholic mission in Aotearoa. What was so special about Lyon in our Church history? On July 23rd 1816, a group of newly ordained diocesan priests climbed the hill overlooking the city of Lyon in central France. They went to the shrine dedicated to Our Lady of Fourviere and made a promise to found a congregation dedicated to Mary. The Church in France had experienced turmoil and trial in the aftermath of the French Revolution. Out of that upheaval much vitality and many new ventures sprang. Some of those new ventures were the founding of various new religious congregations and mission ventures – both within France and abroad. The promise at Fourviere, 200 years ago this year, is seen as a special moment in the process of founding the Marist family – Fathers, Brothers, Sisters, Marist Laity, Missionary Sisters. 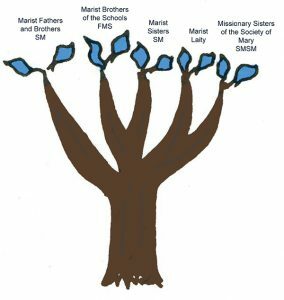 At the time of the promise few in the group would have predicted the influence the Marist family came to have in the development of the Church in the South Pacific. More likely, they were thinking of building up the Church in France. But when the project eventually got papal approval 20 years after the promise they were asked to go on mission to the South Pacific. Bishop Pompallier set out in 1837 for his vast commission, eventually coming to settle in Aotearoa, having placed Peter Chanel on the island of Futuna. His mission was first to Māori. 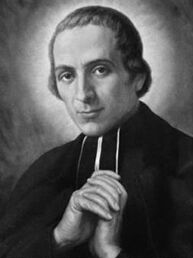 To fund the mission as more priests and brothers arrived from France he appealed to various sources. Apart from the Marist congregation itself he sought help from the Lyon-based Society for the Propagation of the Faith founded by the remarkable Pauline Jaricot. 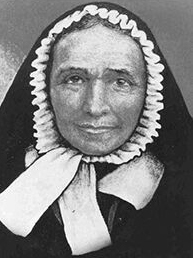 In 1845 one of Pauline Jaricot’s co-workers – Marie Francoise Perroton – came from Lyon to work as a lay missionary on the islands of Wallis and Futuna. 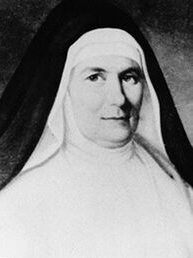 She and the French and local women who joined her would be the basis of the Missionary Sisters of the Society of Mary (SMSMs). Jean-Claude Yvert came from Lyon to New Zealand to be the printer for the early missionaries to ensure they would have prayer books and catechetical material to distribute. Suzanne Aubert heard Bishop Pompallier’s preaching and came to New Zealand in 1860 to assist him. She had gone to the small village of Ars 30 kilometres from Lyon to consult the parish priest, now known as St Jean-Marie Vianney about this. He encouraged her to come. We are still receiving the fruits of her efforts and his counsel. I visited the shrine of Fourviere, the parish church of St Nizier in central Lyon attended by Suzanne Aubert, Pauline Jaricot, Marie Francoise Perroton, Frederick Ozanam and St Claudine Thevenet. (Claudine Thevenet of Lyon was the founder of the Jesus and Mary Sisters who came to New Zealand, and specifically teaching in Wainuiomata, where the school there is named after her.) I also visited the parish of Ars and the town of St Symphorien de Lay, the birthplace of Suzanne Aubert. In August we mark the Māori Pastoral Care collection. It is good to remember the collection is to continue the work of the Gospel that was promoted by the Church of Lyon 200 years ago. Monsignor Gerard Burns is Vicar General and Vicar for Māori, Archdiocese of Wellington. On Saturday 23 July this year the Marist family worldwide marks the 200th anniversary of a founding event of the Society of Mary – the Fouviere Pledge of laity, vowed religious and priests at Fourviere, Lyon, France, 23 July 1816. The day links with the Jubilee Year of Mercy and Marists as instruments of Mercy. Marist priest, historian and archivist, Fr Peter Ewart, provides insights into the foundations of the Marist family, as well as a brief history of some of their early missionary work in our dioceses among Māori and some of the first missions, churches and schools they built. 200th anniversary of the Fourvière Pledge made to found the Marist family at the Shrine of Our Lady Of Fourvière, Lyon, 23 July 1816. 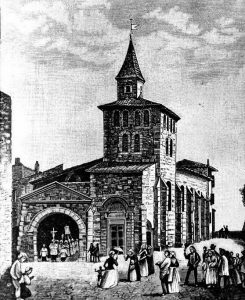 At the Lyon Seminary in 1814, a student named Jean-Claude Courveille circulated his idea of a Society of Mary – nurtured since a spiritual experience at Le Puy in 1812. It would be a Society, which like the Jesuits, would fight for the faith in difficult times. A practical model was principally the rural missionary apostolate of St Francis Regis. Although information is scant, it appears likely that Marcellin Champagnat and Jean-Claude Colin both saw in it, an opening for ideas they had already pondered, and both gave their names to the group that began to form. The first sketch of the Society was on the model of the traditional Orders: an Order of priests, one of Sisters and a Third Order; but prompted by his own lights and experience, Marcellin Champagnat proposed the inclusion of a group of teaching Brothers. His companions readily agreed. During the final year at the seminary, 12 interested students signed a pledge to unite as soon as possible in ‘founding a pious congregation of Mary-ists’ – Marists – undertaking whatever works called for by the times. On 22 July 1816 eight of the group were ordained priests and the following day they all climbed the hill to the Marian shrine of Fourvière overlooking Lyon. There Jean-Claude Courveille celebrated his first Mass and all received Communion from him. The pledge was laid under the corporal during the Mass and probably read out after Mass. Among the eight ordained were Colin, Champagnat, Étienne Déclas and Étienne Terraillon, classmates of Courveille. This first semi-public corporate act marked the transition from a seminarian’s enthusiasm to a committed project and may be seen as the date of common origin of all the Marist branches. Though in fact many of the first group later lost interest, a kernel remained true to their commitment. 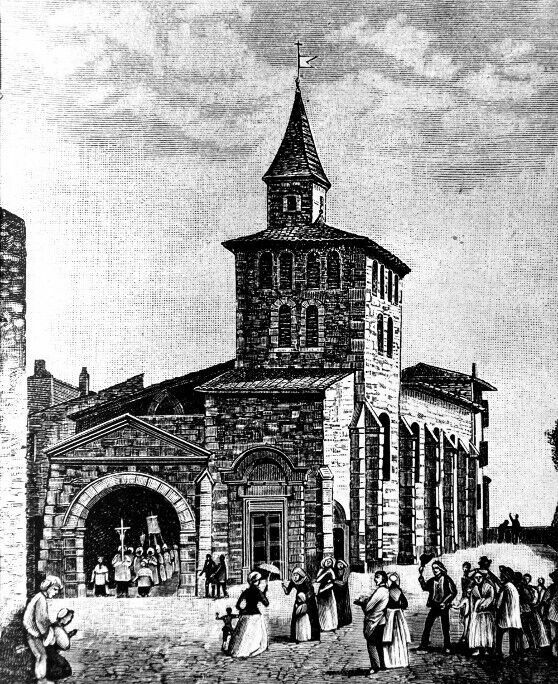 Their seriousness and energy is testified to by the fact that within six months the foundation of Brothers by Marcellin Champagnat was underway at La Valla, while at the parish of Cerdon Jean-Claude Colin won over his brother Pierre, and they invited Jeanne Marie Chavoin of Coutouvre to join them there with the intention of starting a community of Sisters. She arrived with her companion Marie Jotillon in 1817. Various unsuccessful groups of sisters and tertiaries were started, and only later did the Third Order begin to take practical shape. Ōtaki Church and convent at Pukekaraka c1904. The first sustained Catholic evangelisation work among Māori in the lower North Island took place at Ōtaki from 1844 – undertaken by Fr Jean-Baptiste Comte SM who ministered there for ten years. Pā Kometa, as he was known, arrived in New Zealand from France in December 1839. He worked in the Hokianga, at Akaroa and then Kororareka. In early 1844 Bishop Pompallier brought Fr Comte to Wellington to assist in the care of Māori. Pā Kometa located his mission originally at Waikawa – between the Ohau and Ōtaki rivers – before settling on Pukekaraka (hill of Karaka trees) in Ōtaki in 1845. Over the years a school was established; a flour mill was built by Brother Élie-Régis Marin SM – who also planted grapes; and the local people cultivated extensive gardens – with a small ship to carry produce to Wellington and bring various supplies on return. However, in 1855 the Wairarapa earthquake altered the course of the Waitohu, which powered the flour mill, and there was not sufficient flow to turn the wheel. In 1850, Fr Jean Pezant SM (Pā Te Wano) assisted the mission for a couple of years. 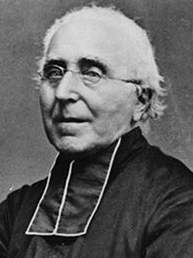 Comte came to feel that the commercial success of the trading was undermining his sense of priestly values; he resigned his post and his vows in 1853 and returned to France as a diocesan priest. Over a number of years Frs Antoine Séon SM (Pā Hohepa), Jean-Baptiste Petitjean SM and Delphine Moreau SM endeavoured to keep contact with Ōtaki. In 1857 the initial part of the church was built – being finished in 1859. It is the core part of the present wooden church at Ōtaki. In 1885 Fr François Melu SM commenced a lifelong apostolate at Turakina, then Ōtaki. As ‘Pā Werahiko’ he featured as a builder of 24 churches within his large mission district. From 1891 Fr François Delach SM (Pā Hohepa) joined the Ōtaki Mission work. A presbytery was built in 1897 and the wharenui of Roma in 1904 and Hine in 1905 followed. The Sisters of St Joseph of Nazareth began educational work in 1890. The original wooden church was reoriented by Fr Melu and enlarged or enhanced a few times. The present parish church was built alongside the 1859 church in 1992. Currently the Parish of Saints Mary and Joseph (Ōtaki and Levin) has Fr David Gruschow as Parish Priest. Frs Philip Cody SM and Peter Healy SM are resident in the area and are working with local Māori. 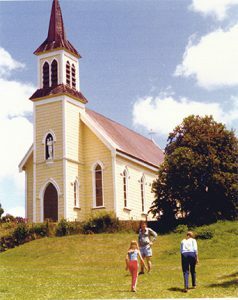 Church at Jerusalem – Hiruhārama. The Whanganui River features as the lifeline for many people who have lived along its banks and the adjoining valleys. Early European explorers used Biblical or historical names for various Pā and settlements: Corinth (Koriniti), London (Ranana), Athens (Atene) and Jerusalem (Hiruhārama). Jerusalem is about 66km up river from Whanganui. In 1851 Fr Jean Pezant SM followed the river northwards, evangelising as he was able; Fr Jean Lampila SM (Pa Hone Rapira) followed in 1852. At Kauaera a thatched-hut church was set up. The Hau Hau movement made a push towards Whanganui in 1864. Fr Jean Lampila SM accompanied Catholic Māori as they crossed to Moutoa Island to engage them. Br Euloge Chabany SM joined them and was killed when struck by a club while attending the wounded. Fr Christophe Soulas SM (Pa Hoani Papita) really got the Mission and school established, assisted by Suzanne Aubert (Meri Hohepa) from July of that year. The Srs of St Joseph of Nazareth also helped for a short time returning to Whanganui in 1884. Suzanne was authorised to receive postulants for what formally became the Daughters of Our Lady of Compassion in October 1892. Pā Hohepa Papita was helped by Fr Claude Cognet SM (Pā Koneta) from 1886‒93. The first wooden church of St Joseph at Hiruhārama was dedicated in December 1885 but was destroyed by fire three years later. 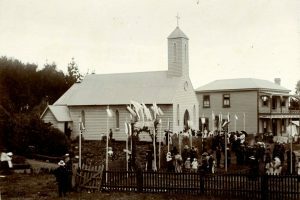 With Suzanne Aubert’s help in fundraising in the North and South Islands the second church (the present one) was built and was dedicated by Archbishop Redwood in 1893. In 1903 Fr Soulas was posted to the Taranaki area and Fr Julien Maillard SM (Pā Huriano) succeeded him at Jerusalem. In 1968 Pā Wiremu Te Awhitu SM, the first Māori priest, took up residence in Jerusalem where he was based for 21 years. He had suffered a severe stroke in 1958 and his speech was limited. In September 1969, the poet James K Baxter established a commune there. He wrote: ‘Te Atua (God) sends me a good instructor in Father Te Awhitu. His few words have the weight of wedges splitting timber. His soul speaks of God because he is at rest in God,’ Autumn Testament. Sisters of Compassion still live at Hiruharāma and are kaitiaki (guardians) of the pilgrimage site where guests stay in the old convent built by Suzanne Aubert.